LANDesk is an asset management software system used to remotely inventory and manage desktop computers. It has the ability to report on installed software and hardware, and allow remote assistance. Open the file you have downloaded, and double click on “Landesk_Client_Windows…”. This will start the installation process, which will take 3 to 5 minutes. The installer will quit on its own when complete. Hover over All Programs to expand it. Click on the LANDesk Management folder. Fill out the 4 fields displayed and click Finish. If you don’t see an error you’re done. The setup will not display a confirmation screen. Click on the Apple icon in the upper left hand corner of the screen. The version number will be displayed below the Apple logo. After extracting the zipped file you will see a folder containing the installation package and the registration form. In the Personal section click on the Security and Privacy icon. You will need to unlock this section to make chankes. Click the gold padlock in the lower-left of the window. Enter the administrative credentials for your system. After unlocking the section, change the permissions in the section titled “Allow applications downloaded from:” to the option of “Anywhere”. You should now be able to install the LANDesk client. Please try the installation again. Next, run the second item within the download folder. This is the Item titled OWU Request Form. Simply double click on the Icon and fill in the requested information. Upon completion of the registration form the LANDesk client will be successfully installed and registered on your MAC. 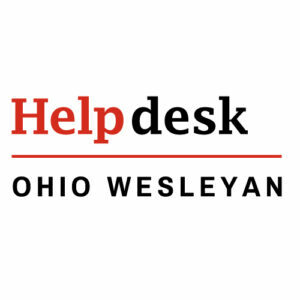 The LANDesk agent is highly recommended for all OWU assets. Why are we deploying LANDesk? All workstations with the LANDesk Agent provide valuable inventory data such as: serial number, available storage, operating system, total RAM, and age of hardware. Information Services strives to provide the best customer service experience. With the users’s consent and LANDesk Remote Assistance, Help Desk analysts can see exactly what the customer sees. This allows them to provide help instantly, over the phone. Field technicians can thus be deployed more quickly to attend to urgent hardware and software issues that require a physical presence. LANDesk can create customized, detailed reports regarding departmental hardware and software assets. For example, IS can quickly see what operating systems are installed on campus. See an example report here. Will LANDesk change settings on my computer? What can be seen on my computer with LANDesk? 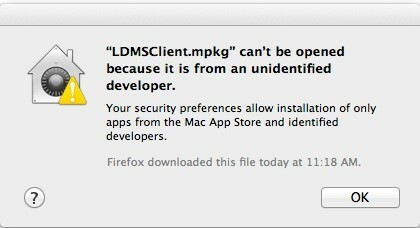 LANDesk will not permit IS to view the files on your computer. Using LANDesk, IS can only view inventory information about the hardware components and software applications. Will Info Services be monitoring user behavior? No. LANDesk does not monitor staff, faculty, students, or the websites they visit. LANDesk does check to see if your software applications are up to date with the latest Microsoft patches, as well as patches from other companies such as Adobe, Apple, HP, and Sophos. LANDesk also returns important information to administrators about the hardware installed in a university-owned systems. The inventory contains detailed information about all of the hardware components and software applications installed on your computer. It can be used to determine how much and what kind of memory is in your computer, what operating system you have, and the versions of the software installed. The inventory tool will run in the background no more than once per day. This information assists IS while troubleshooting a problem with your computer. Inventory information will also help departments evaluate their current technology assets when it is time to buy new computers. The inventory tool cannot access any of your personal files. 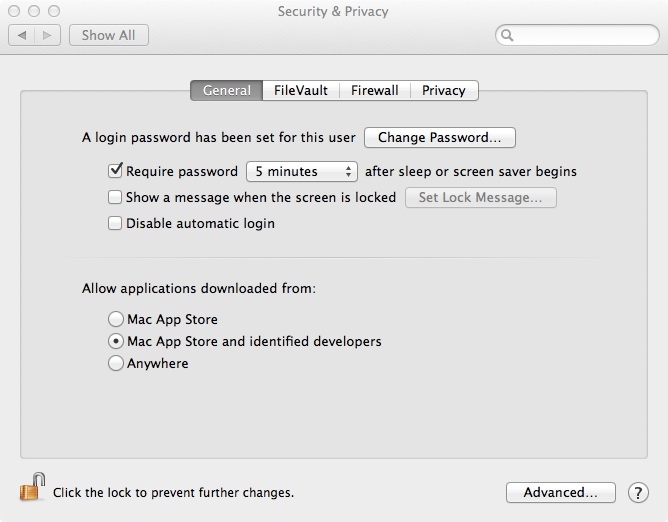 Click the lock icon located in the lower left of the screen and enter your administrator password to make modifications. 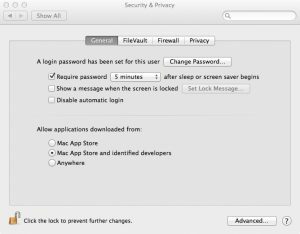 In the section titled “Allow applications downloaded from:” change the option from “Mac App Store and Identified developers” to “Anywhere”. See below. Click “Allow From Anywhere” in the box that appears. Click the lock icon again to prevent accidental changes to these preference. Try again to install the LANDesk client.